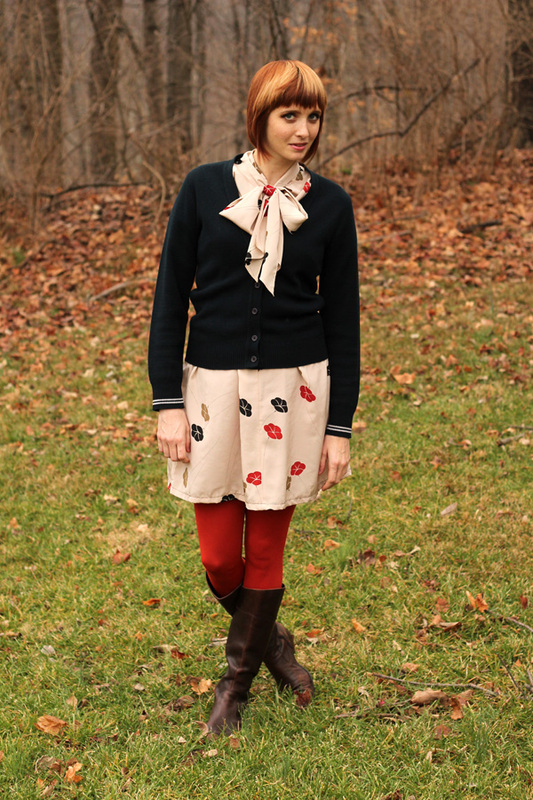 This is what I wore on Christmas Day, and it's the only outfit I managed to photograph while in Cincinnati. I really had plans to take more, but when I'm sick, that's really the last thing I feel like doing! These were taken in my parents' backyard, down the hill by the woods. 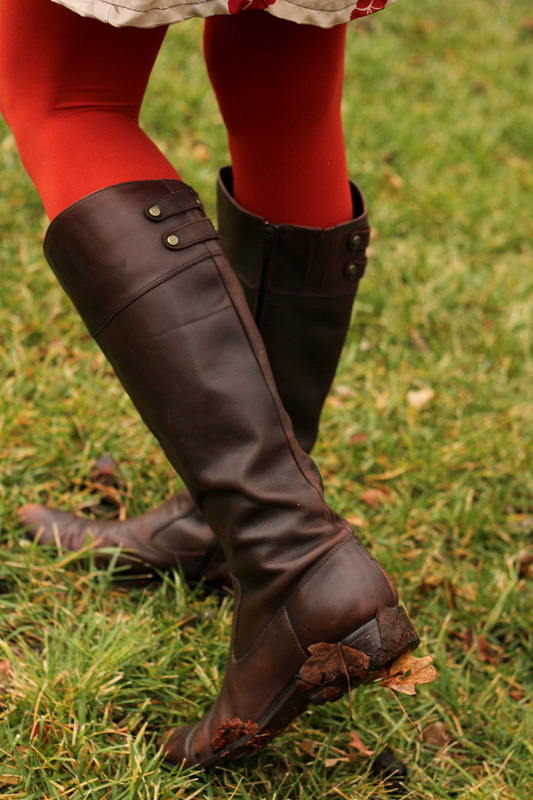 As you can see in the closeup photo of my boots, we had to trample through quite a few berries to get there. I'm still scraping those berries off my boots! I can't believe 2012 is already coming to a close. So much happened this year! It's so strange to think that this time last year I was sitting in my apartment in Brooklyn with no idea I was about to move to LA in a few months. It just goes to show that if you keep an open mind and adventurous spirit, you never know where life will take you!